DCD's Private Music Program, under the direction of Valerie Snow, offers students the opportunity to study a variety of instruments. These include strings, winds, brass, guitar and piano. 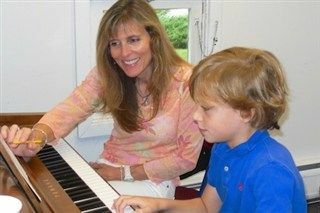 Our instrumental teachers are experienced educators, wonderful musicians and excellent performing artists. Teachers emphasize proper technique and ear training. Lessons introduce a series of musical pieces designed to foster the love of music; this is our most important goal. Achievement of instrumental proficiency does require commitment to a regular practice routine. If you would like to register your child for fall instrumental lessons, please click on the link for the Registration Form below. You can email the completed PDF or send hardcopy to the DCD office, c/o Valerie Snow. The form explains the program in more detail. DCD's Ensemble Opportunities include band, chorus, and string ensembles for both Lower School and Middle School students. When students are ready, their teachers will encourage them to join one of these musical groups. These ensembles provide our young musicians with a chance to expand their repertoire, learn to play with others in harmony, and experience the nuances of concert performance. Students learn about stage presence and how to maintain composure before an audience. For newer musicians, there is a "beginners' band" option offered by DCD music teacher, Duane Claussen. Please feel free to contact him with any questions about band options at DCD. DCD host serveral performances throughout the school year. These include Music Parties, Holiday Assemblies, and Teacher Recitals. Lower School Chamber Ensemble for string players, beginning in Grade 3. Middle School Chamber Ensemble for string and woodwind players, Grades 6 -8. 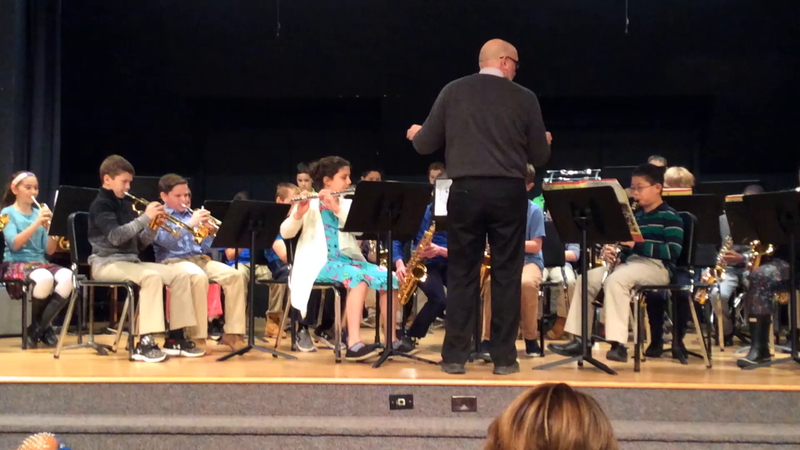 Lower School Band, Grades 4 & 5; this includes winds, brass and percussion instruments. There may also be limited opportunities for piano and guitar students. Middle School Band, for Grades 6-8 includes the same instrumentation as the lower school but, at a more advanced level. All groups enjoy varied and interesting musical genres.